“My experience with Kim was fantastic. My friend Kelly had recommended her and as soon as we met I knew she had to be my doula. Kim has the biggest heart ever and her hugs have a way of feeling like home. She is intuitive, gentle, and a great listener. We used her as our Bradley method coach in lieu of taking a class elsewhere. Each session that we had with her in my last trimester left my husband and I feeling more and more comfortable wth the birth process. She takes the time to really get to know you and your partner and manages to soothe any concerns/fears that you may have. “Kim was the doula for the August 2015 birth of my daughter. 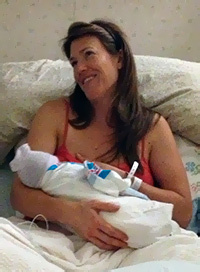 We interviewed several doulas and as soon as ‎we met Kim I intuitively knew she was the person I wanted to share this journey with. Her energy is warm, positive and loving. And all those good vibes are backed up by knowledge and experience. I also loved that she focused as much on my husband as on me. It truly felt like she regarded the three of us as a team and since I knew that during labor I would be completely in their hands it was important to me that he felt empowered. Throughout my pregnancy Kim was source of information, encouragement, light, positive vibes and comfort. Kim is steeped in knowledge but was never dictatorial. I always felt comfortable consulting her for advice and ultimately listening to my own body and spirit to decide how to proceed. “When you picture yourself giving birth, who is in the room with you? Other than the doctors and nurses, there will be your partner, probably. Your mom? Maybe. What about someone that, most likely, you only met a few months before, who probably hasn’t even met your family? Sure, if you don’t know any more details than that, the idea could make you a little uncomfortable. I, for one, wasn’t sure if I needed anyone else in the room looking at my lady garden. But, when that someone is a doula — a trained birth coach — she (or I guess he) can provide much needed support for you and your partner. While I had heard of doulas before, I wasn’t planning on using one. It seemed way too crunchy for me and I wasn’t sure how much I wanted a virtual stranger to be witness to basically the most intimate moment of my life. But, after reading Expecting Better, I changed my mind. Emily Oster, who wrote the book, has proof of everything she advocates. In the case of doulas, women who retain their services during labor had a very reduced chance of c-section or other birth complications. And that was pretty much enough to seal the deal for me. Luckily, Beth Israel hosts a Meet the Doulas event every few weeks with Birth Focus. 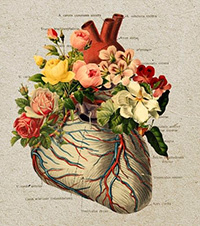 As I mentioned in this earlier post, it was essentially speed dating with doulas. And, since it was free, it allowed me to learn about what hiring a doula entailed and to decide if it was going to be right for me and Mike. At the event, I met with a handful of doulas, but really clicked with Kim. Within a few days, we had locked her in for our due date (ha! due date! I’d call it due month, but even that doesn’t apply. Anyway … ) and she scheduled a time to come to the apartment so she could also meet Mike. Now, some of you may be saying, if I already have my husband/partner, why do I need someone else? Well, you don’t, necessarily, but unless your husband is skilled in coaching you through birth, you’re both probably going to be flying a little blind. And if your husband is the queasy type, what happens if he passes out? Do you know how he’ll react when he sees you in a great deal of pain? Plus, while the doula’s primary focus is going to be YOU and your baby, she’s also there to help make sure that the labor and delivery is a great experience for dad as well. Before I delivered, we met with Kim about three times and went over everything from our birth plan, to what sorts of exercises I could do to help prepare for labor, to what childbirth class we should take and much, much more. She was available basically 24/7 on the phone and always made sure to check in with me after doctor’s appointments or if she hadn’t heard from me in a few days. Overall, it was just uplifting to have someone else in my corner, cheering for me every step of the way, even when my due date came and went and I was feeling rather cranky. And then, at the hospital, she stayed with us pretty much the entire time, getting there a few hours after I was induced and not leaving until after Avvie was born. It’s important here to note that doctors and nurses will have shift changes; doulas will not. But more than just being there, she convinced the doctor to let me have some apple juice when I felt like I’d been pushing for three days. She made sure that my lips weren’t chapped. She even brushed my hair so that I didn’t look quite as much of a hot mess when we took our first pictures as a family. She TOOK the first pictures of us as a family. 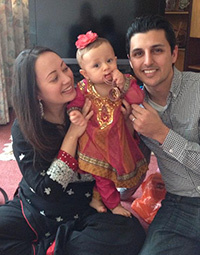 Plus, she was there to support and keep Mike company and could deliver updates to our families in the waiting room. 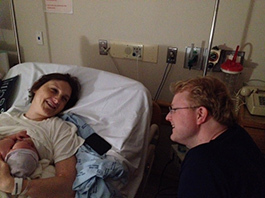 And, most important, when we got into the active labor part of the whole process, she was there to give words of encouragement, help me keep my stamina up and make sure I didn’t start hyperventilating. Considering I pushed for two and a half hours, this was easier said than done. 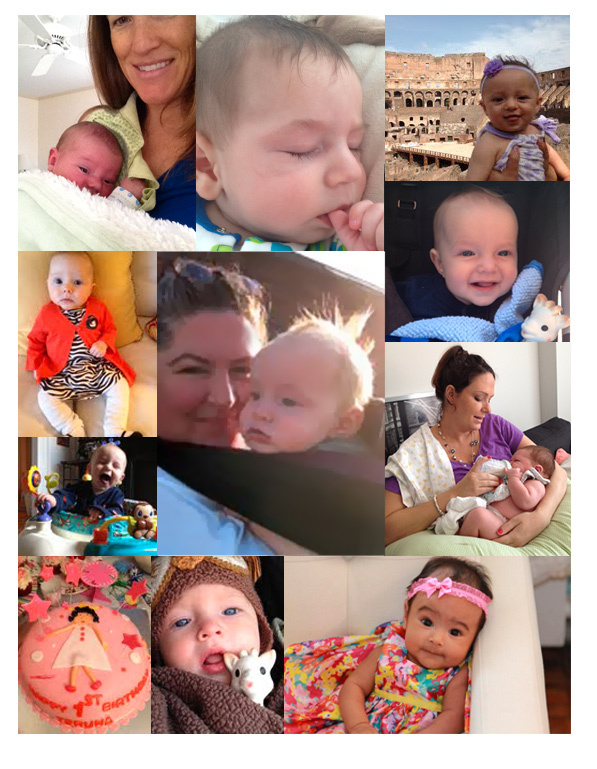 Since Avvie’s been born, Kim’s already been by to visit her and continues to text and email lots of helpful links, videos and docs about everything from sleep schedules to breastfeeding. A doula’s job doesn’t end with the birth; and there are even specific post-partum doulas that not only teach you about your baby, but help you to recover, too. Having a doula may not be right for everyone, but for me (and for Mike), my labor experience would have been poorer without it. Did you have a doula? I’d love to know your experience! “I was initially nervous in talking to my husband, Nobu. I thought that that my traditional Japanese husband might not understand why I would want a stranger at our daughter’s birth. However, once he met Kim in our home he was able to appreciate her gentle kindness and knowledge of births in a hospital setting. 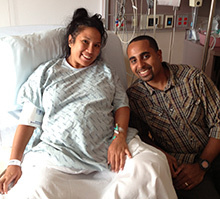 He welcomed her as our doula and quickly came to rely on her as much as I did. confidence in me never waivered; and that strength transferred to me. 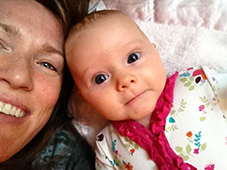 With her support, I never felt frightened or anxious about my ability to birth my baby. 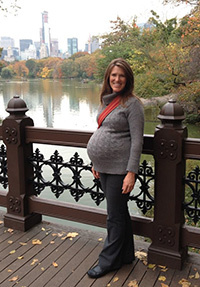 A unique and unforgettable part of our birth experience is the afternoon that Kim planned for us in Central Park. I was feeling depressed and waiting for any sign that the birth was near. 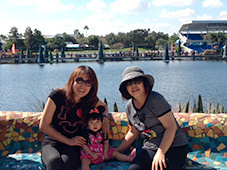 To relieve the tension, Kim suggested we have a “pre-birthday party” for Teruna and maybe she would want to join us! We had a picnic, with Kim bringing animal plates and New York’s absolutely best chocolate chip cookies, along with sushi prepared by my mother and Nobu. The five of us (counting Teruna who was already a prominent member of the family) spent all day exploring the park and taking photos together. This was actually part of my labor! Whenever I share this special day with others, they say, and I agree, that it’s the best birth story they ever heard. Kim was especially sensitive to our traditional cultural beliefs. She helped to create a soothing and sacred hospital experience for all of us, respecting and including Japanese birthing customs. The recognition of these values was very much appreciated by all of us, something my mother still comments on in her letters. “It’s really hard to decide on your Doula. Hard enough deciding it’s “OK” to have one. But for me the decision was made after we had our initial meeting and Kim. She was so comfortable to be with and open up to. She asked me about my first birth and what that experience felt like and for the first time I was able to recognize the loneliness that I felt during labor with my first child. I knew then, why I had to have a Doula. Kim said, “You won’t be alone this time,” and I knew that she was going to be the one to be there for me. She didn’t let me down. My biggest concern this time around was to have a natural birth and in order to do that I needed to be relaxed. Kim had a bag full of aromatherapy and immediately got me hooked up. I had heard about the Bradley Method but knew nothing more and worried I was too far along to do anything about it. Not Kim! She brought me the book, copied pages from other material, and not only encouraged me to read it and follow the steps but helped me to do it when we met. She brought me relaxation CD’s and tea, and gave me company when I needed it so late into my pregnancy and with the added stress of having just recently moved to the city. Kim even gave me my first tour of Central Park! I wouldn’t have had any good baby belly pictures if she hadn’t suggested it. The encouraging emails, and visits and the promise of being there like no one else could was priceless. When the day of my baby girl’s birth came, Kim was there before I knew it. 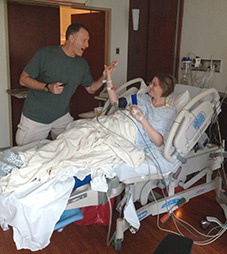 She was not only company but a help to my husband as he took care of the details of our transition to the hospital. There was a moment, when I realized that I was going to have to go to the hospital and leave my little homey cocoon, that fears from my first birth came back and I just had to cry. Kim was right there, reminding me that it was not going to be the same and that it was going to be OK. Whew! I’m choked up now thinking about it. I had her company in the back seat on the way to the hospital and once we got there I could relax and let her and my husband get all of our crazy tons of bags inside. “Maybe I should just start out by saying that Kim saved my nerves going into the birth of my second child. I’ll get that out of the way and just say that I couldn’t have been fully comfortable in the weeks leading up to the delivery without knowing she was on call. She’s great. So there. The thing is, I wasn’t particularly worried about the birth itself. Our first homebirth was beautiful and I expected the same from the second. I’m a pretty decent birth partner, I think, and my wife is amazingly powerful. We had that central act covered. What I was worried about was the sideshow of strange variables that come along with such an energized occasion as a homebirth. What if I was at work an hour or more away and things started happening fast? What if my 3-year-old son had the oh-so-rare crabby moment right in the middle of the birth? What if somebody forgot to do something? Kim took all of those concerns, bagged them up, and hauled them to the curb the first time I met her. She walked in the door and, cross-legged on the floor with my son immediately mesmerized, told me that she would be there for what we needed and that I didn’t have to worry about those things. So I didn’t. It was that simple. Since the point of a homebirth is to keep the calm energy of home throughout the birth, making my son feel comfortable was incredibly important to me. Kim helped us maintain that aspect of our birth perfectly. 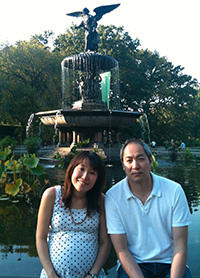 Acting as our son’s birth buddy, Kim spent time with us over the latter half of the pregnancy, just getting to know him and making the relationship comfortable so that he would feel secure with her in the event of a transfer or other birth anomalies. She also allowed me to focus my attention on my wife without worrying if he was getting left out, nervous, hungry, or anything other than peacefully excited. Things work unexpectedly though. My wife’s labor came on at night and was incredibly fast. My son slept through the entire thing and Kim shifted perfectly into other roles – warming towels, taking pictures, helping to clean up the baby, and generally making sure that we were able to just relax with our beautiful new little girl.